For the second part of our road trip (click here for part one) we continued to Central Western NSW. 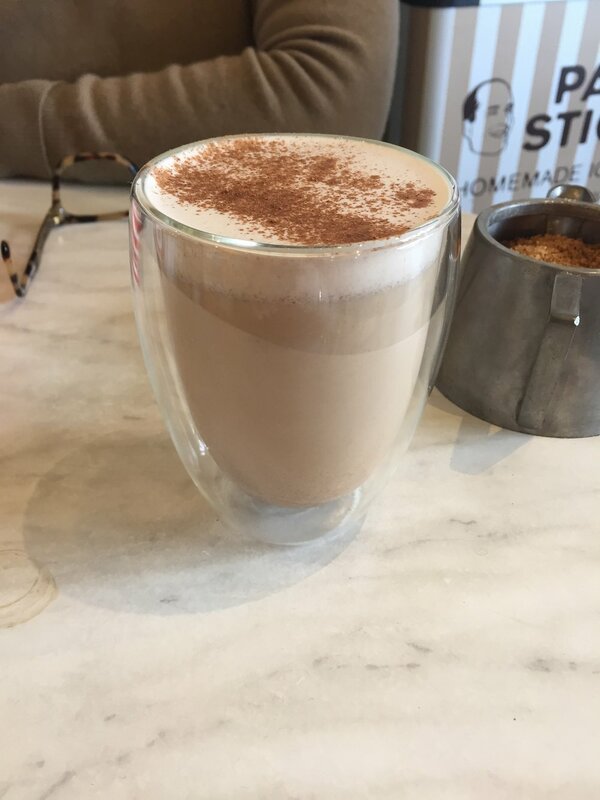 While having gone to Orange a few times as a child, I had not been for over ten years and was keen to go back and check out the food scene I had heard so much about. 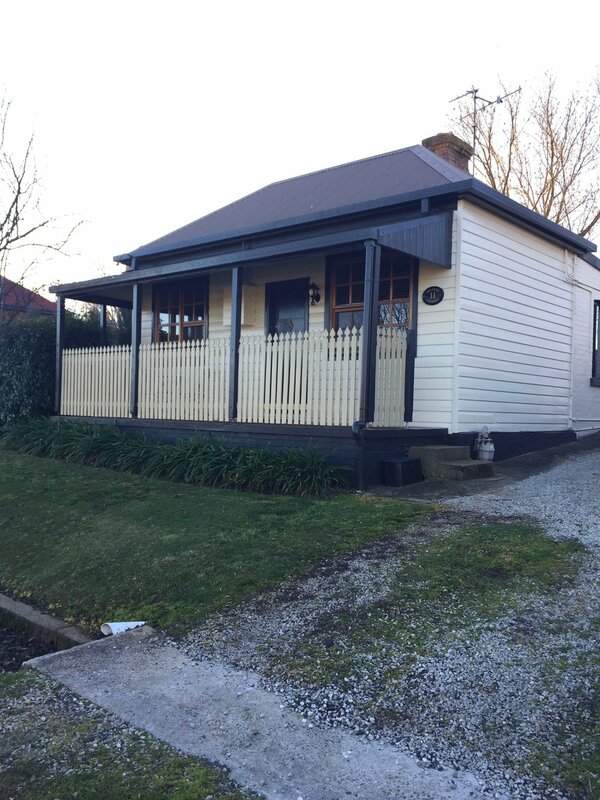 Millthorpe, located in between Bathurst and Orange, was our base for the two nights in the Central West. Boasting amazing old architecture, it was exceptionally quiet, and you couldn’t not be relaxed and follow the slow pace of life there. We arrived on a Wednesday, and almost nothing is open until Thursday! The weekends are meant to be quite busy, with some shops only opening on the weekend. Luckily for us a the pub was open for dinner so we didn’t go hungry on our first night! Food is a big part of this town, which is one of the reasons we stayed here. The town has a hatted restaurant (Tonic), some lovely small cafes and homewares shops. We ate at Tonic, the hatted restaurant in Millthorpe, on our last night there. We contemplated long and hard about eating here, not sure if hatted restaurant food was really our thing, and if we really needed to have a full two course meal after having such a food focused trip. I am so glad we did make the effort to go, as the food was great and were much larger portions than I was expecting. We had two courses each, all of which were amazing, and I would highly recommend eating there especially if you are staying in Millthorpe. The Cork and Fork at The Commercial Hotel in Millthorpe was our only option for dinner on our first night, and it was a cheap and cheerful meal - in the absolute nicest sense of that phrase. The pub was warm and cosy, and nicely decorated. The food was good, and very inexpensive. We decided to share some bruschetta and a pizza, as we had already eaten lots that day. I noticed that the pizzas were only $12.95 each - where they really small, or kids size, would it be enough for the two of us? If you pay $12.95 for in pizza in Sydney you can almost guarantee it is only enough for one, or you’ve ordered off the kids menu. When I ordered and asked the size, the lady serving me said it was definitely big enough for two, that she thought she’d be able to get through half of one herself. When our meal came, it was enough for both of us to share! I was so surprised at the good value of the meal, it’s definitely not something we are accustomed to in Sydney! 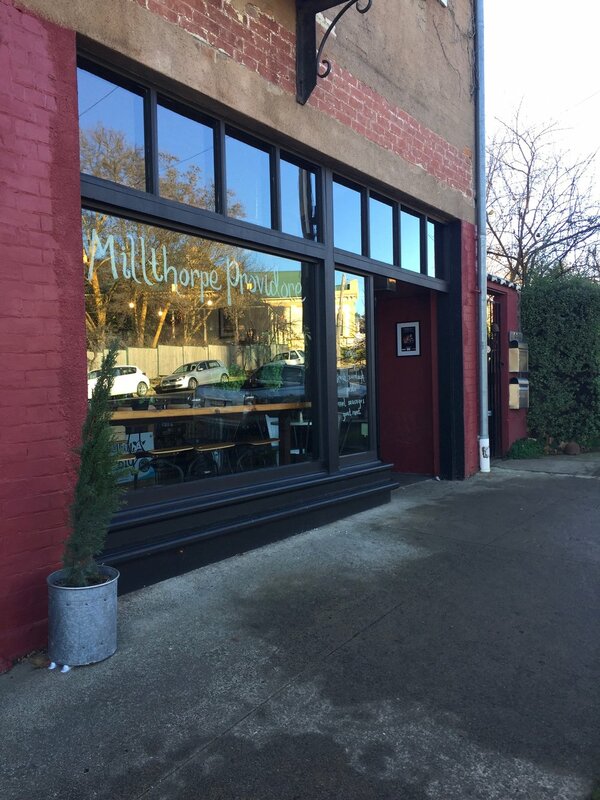 Our favourite place to eat in Millthorpe was the Millthorpe Providore. A deli come cafe, selling lots of local Central West food products, as well as other gourmet goods. They serve T2 tea, Bills Beans coffee and use Little Big Dairy Co milk. 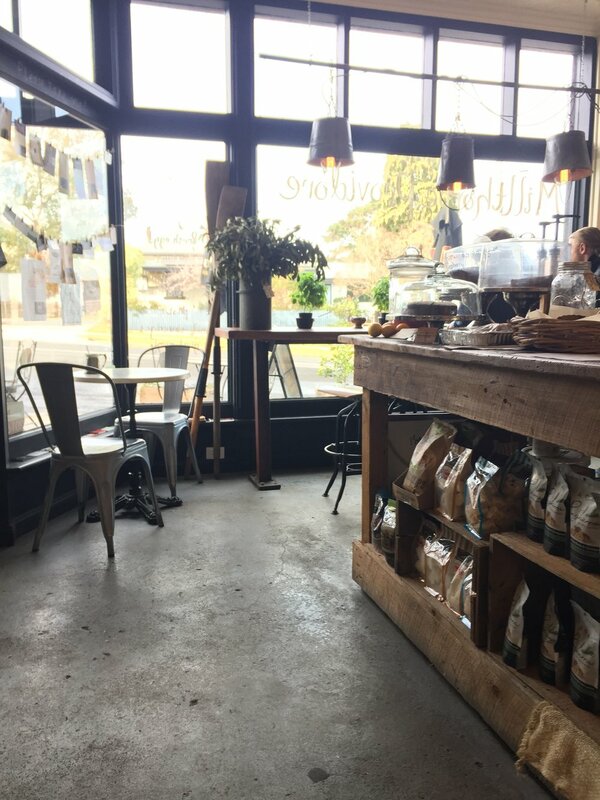 Bills Beans seem to be well known for their quality and great taste in the Central West and we quickly learnt that any cafe serving it would be good - though Mum said the coffee at the Millthorpe Providore was the best! The combination of Bills Beans and Little Big Dairy Co milk was a winner! I had heard of Little Big Dairy Co through Local is Lovely, and since they recently started selling their products in David Jones in the city, I was able to buy some of their cream not long before our trip. Their products are of exceptional quality, and actually taste like they should - to the point where I feel I’ve never really tasted proper cream until now. I made a note before we left of cafes that said they used this Dubbo based dairy’s products, and they were well showcased at the Millthorpe Providore. We had breakfast here on our first morning in Millthorpe, most other cafes were not open for breakfast until the weekend, but the Millthorpe Providore was by far the best choice regardless. I had learnt during my research for this trip that the Trunkey Bacon & Egg sandwich was the thing to have here. There weren’t too many other options to be honest, though the quality of this sandwich made me think they didn’t need to offer anything else. 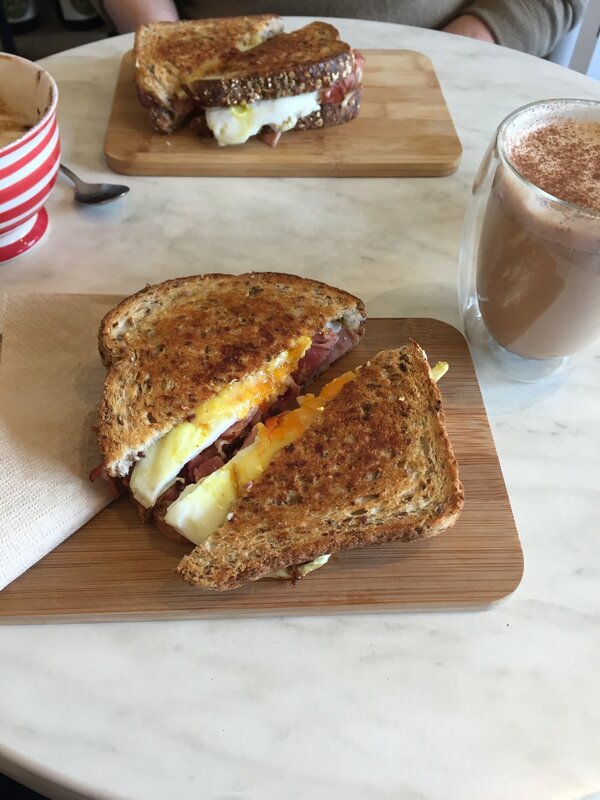 I can’t say that a bacon and egg sandwich would be my usual choice for breakfast, but this one was outstanding. They used shaved Trunkey Bacon, which is a product of a local Orange business Trunkey Bacon & Pork. It was by far the best bacon I have ever had and not only had me craving another sandwich the next day, but also looking up where I can buy this bacon back in Sydney (they sell at North Sydney Produce Markets thankfully!). Our favourite homewares store in Millthorpe was Tomolly Millthorpe. The store has a wonderful aesthetic and Belinda the owner was so friendly you couldn’t help but get chatting. We both walked out with a few gifts for others and I bought a couple of nice tea towels too. 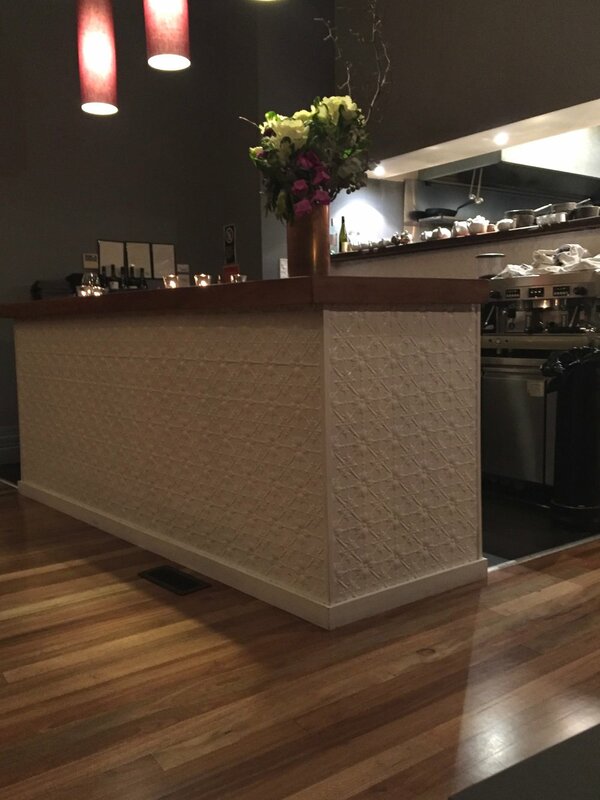 Highlights: Tonic, Millthorpe Providore, Tomolly Millthorpe. 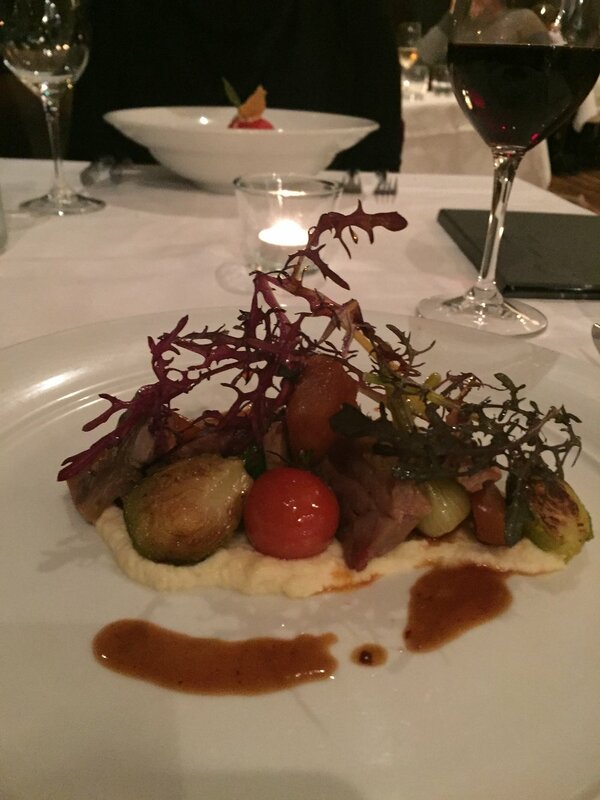 To try next time: The Old Mill Cafe & Le Billot de Boucher. We stopped into Racine Bakery, located on the edge of the Woolworths carpark, twice during our time in Orange. We first went there for a quick lunch, having pies and hot drinks (made with Little Big Dairy Co milk no less). We then stopped back to pick up some bread to take home. Next time we definitely need to go to the Racine restaurant, as the photos I’ve seen on Instagram look so lovely. We drove around most of Orange, taking in the wide tree lined streets and amazing old houses. We spent a little time at Cook Park on our first day in the Central West. Cook Park is a lovely park to be in, and some of the (very) early Spring blooms had started flowering which was nice to see. I had fond childhood memories of going to Cook Park with my friend and buying homemade lollies at the Cook Park Guildry which sells local arts and crafts. We went back to the Guildry just to satisfy the kid me in really, and they had a great selection of homemade slices, biscuits and jams, and I walked away with an ANZAC Caramel Slice (pictured below) that was so sweet and so so good. For lunch on our second day we made our way to the Agrestic Grocer. After hearing so many good things about it we were keen to check it out. We started by looking around the produce shop, which sported lots of local organic produce and other local deli items. I bought some quinces, which ended up being the most fragrant ones I have ever bought. Unfortunately we both found The Agrestic Grocer cafe a bit disappointing after all the good things we’d heard and the excitement of getting to actually go there. We both had vegetarian dishes which were really big, bland and just a bit too expensive for what they were. As we drove away, Mum commented that they should get their hands on an Ottolenghi book to learn to cook vegetables in a more tasty and interesting way. It was a shame, but we were definitely beginning to think that the food in Millthorpe was going to be the star of our trip. 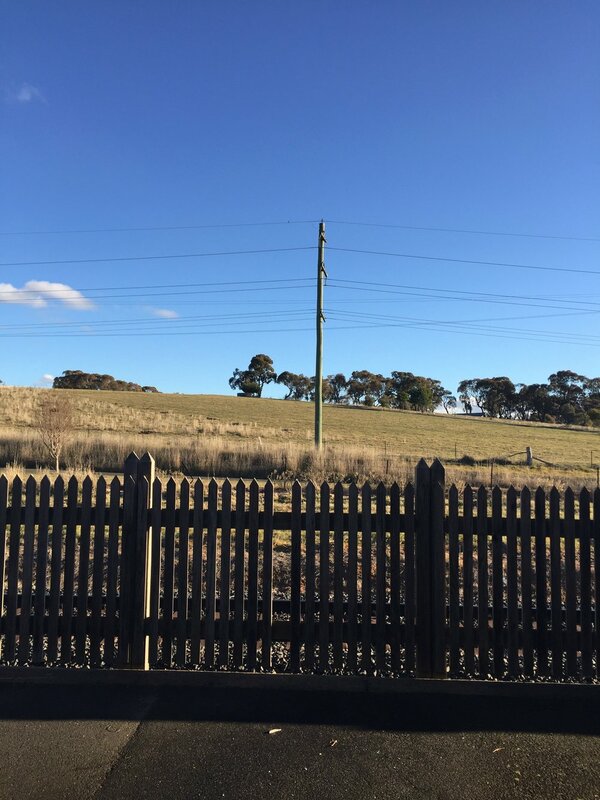 After lunch we continued driving away from Orange and ended up in the small town of Molong, and our experience there improved our day significantly. Highlights: Racine Bakery, Cook Park. To try next time: Bills Beans Cafe, LolliRedini, Racine Restaurant, Hillside Harvest. Molong has one main street for shops and cafes, Bank Street. It was a quiet place, however after walking down the street we found a really nice homewares shop, Booful Gifts & Homewares. Inside the shop was the biggest collection of Robert Gordon ceramics I had ever seen. We jumped at the chance to buy some as the collection was so extensive, and I know from experience that buying directly from Robert Gordon online takes a little while as everything is glazed to order. The whole shop was so well thought out, and was a beautiful collection of colourful and interesting things. We were able to talk to the owner of the store, and she said it was named Booful, as when she was younger she couldn’t say ‘beautiful’ and said ‘booful’ instead. A very cute story for a very cute store! 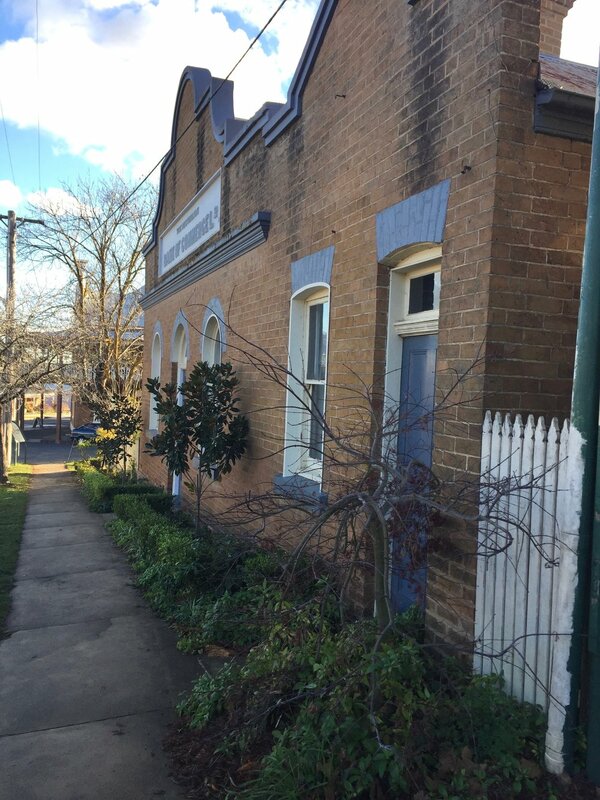 We also had a look in The Yarn Market Molong, a similar local arts and crafts shop to the Guildry in Cook Park. The ladies working in the store that day were incredibly friendly, and again they had a wonderful collection of homemade cakes, slices biscuits and jams. I bought a loganberry and boysenberry jam, and some rocky road to take home. Highlights: Booful Gifts & Homewares, The Yarn Market Molong. Mugs and Tea as above, ANZAC Caramel Slice from The Guildry Cook Park Orange, tea towel from Tomolly Millthorpe. Not far off the Mountains, after Hartley Valley and just before Lithgow, is the opportunity to take sweet detour on the way to or from the Central West. I knew of Rydal from going to a couple of Local is Lovely Workshops on a farm in Rydal, and when Mum and I were driving home we decided to take a short detour through this tiny town. We made our way towards Rydal Train Station, having heard what a lovely old building it was, and soaked in our last views of the countryside on our way back to Sydney. As our trip came to an end, we reminisced about all the food we ate, and the places we should go next time. I also noticed what a lovely slow pace the few days had been. Often when you plan a holiday, you spend so much time planning it, then when you are actually on the holiday the time flies by. That certainly didn’t happen on this trip, and we were so grateful for it. We both needed some time away from the city, and it was great to enjoy a slower place of life for a little while. Do you have any favourite places in the Central West? I’d love to hear about them, I’m already starting a list of places to go for next time!